Recreation can sometimes involve the mistake of taking drugs and this can lead to being charged with an offence. Being in the possession of, or using illegal substances can be a serious offence in NSW. In some instances you do not even need to be in possession of the drugs yourself to be charged under NSW laws. If you have been charged with a drug related offence CALL 1800 438 688 and we will put you in touch with an experienced lawyer who will provide a FREE appraisal of your individual case. If this is your first criminal offence charge, the court may be prepared to show some leniency. However it should be noted that the court often treats drug offences with a hardline approach. Drug supply, cultivation or manufacture, are considered to be very serious offences in NSW and incur heavy penalties that may include imprisonment. 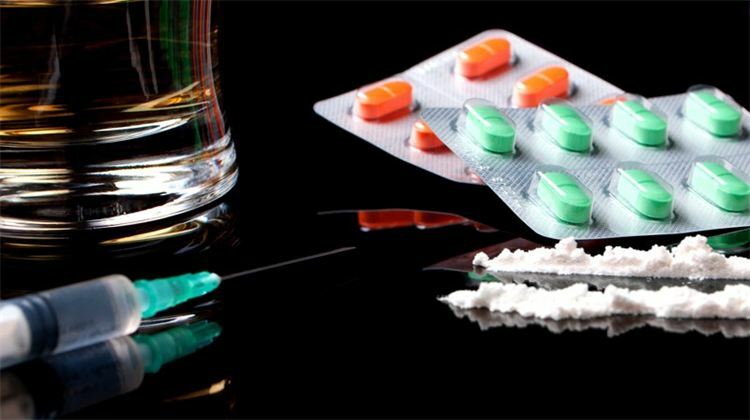 Drug abuse can have potentially serious consequences for health and wellbeing. If you have been charged with a drug related offence and have an associated problem, you should ask your lawyer about the possibility of admission to rehabilitation programs such as MERIT which provide much needed support. If you fail to remedy the problem the court will most likely opt for a jail term. This information below outlines maximum penalties and sentencing statistics for drugs offences in NSW including using, possessing, supplying, cultivating, manufacturing and importing prohibited drugs. It also explains the likely penalties for some more common first drug offences. If you have been charged with a drug related offence CALL 1800 438 688 for a free case assessment. Maximum penalty – 20 penalty units, a fine and/or 2 years’ imprisonment. Lesser penalties that we can help you achieve range from a Section 10 dismissal or good behaviour bond to a Community Service Order, suspended sentence or an Intensive Correction Order (periodic detention). Which court will I be going to? All drug possession charges are dealt with summarily in the Local Court. When you contact us we will be able to advise you of the best legal strategy to get the best possible outcome. What else can we do for you?What else can we do for you? Maximum penalty – 2000 penalty units, a fine and/or 15 years’ imprisonment. Lesser penalties that our professional lawyers can help you achieve range from a Section 10 dismissal or Good Behaviour Bond to a Community Service Order, suspended sentence or an Intensive Correction Order (periodic detention). Based on the Judicial Commission of NSW statistics, we can advise that the typical outcome for a Drug Supply case in the Local Court is a suspended sentence under Section 12. However, this alters slightly depending on the type of drug, the amount and the circumstances surrounding the incident. Typically a case heard in the District Court is likely to hand down a harsher sentence and can often include jail. The courts determine whether you will be appearing in the Local or District Court according to the quantity of drugs. If the amount is an indictable quantity this can only be finalised in the District Court. Alternatively if the amount is below the indictable quantity (see T1 or T2 on your charge sheet) it is automatically dealt summarily in the Local Court unless either the DPP or you elect for the matter to go to the District Court. Lesser penalties that an experienced lawyer can help you achieve range from a Section 10 dismissal or a fine to a good behaviour bond, community service order, suspended sentence or an intensive correction order (periodic detention). Based on the Judicial Commission of NSW statistics, we advise that the typical case in the Local Court for a Manufacture Prohibited Drugs charge ranges between a 12 month bond under Section 10 and a Section 12 suspended sentence. This changes slightly as to the type of drug and the amount produced. Typically a case heard in the District Court is likely to issue a harsher sentence. The courts determine whether you will be appearing in the Local or District Court according to the quantity of drugs seized. If the amount is an indictable quantity this can only be finalized in the District Court. However if the amount is below the indictable quantity (T1 or T2 offence – see your charge sheet) it is automatically dealt with at the Local Court unless either the DPP or yourself elect for it to go to the District Court. The content and any linked publications on this website are intended to only provide a general summary and overview on the subject of interest. It is not intended to be or constitute legal advice. Whilst we attempt to update the content the law is constantly changing on this basis we do not guarantee its currency. You should seek legal or other professional advice before acting or relying on any of the Content within this site or any other legal issue.